I am going back n forth on what to do with some of the blank walls in the dining room. having a hard time deciding what do with the other walls. The far left wall is covered with my babies faces. Love the black and white pictures. In the corner I would like to add more pictures. Two windows on either side. Pictures need to be blown up a bit. I have 4 pictures here. A hutch would be too heavy and not enough room. Take a look at these inspirational pictures. What do you think? They are so pretty. Hi Claudia! 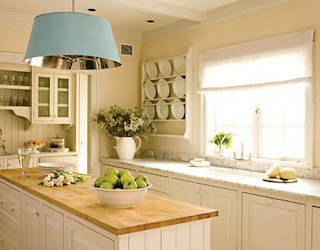 As I was scrolling through this post I had the thought that a plate rack would be perfect ... and there they were! My mom has always had one in some form or antoher. I had a guy make me one just like one of my mom's and I am crazy about it! Great idea for that space! It's looking fabulous and the rack would be perfect!!!! Oh it's so funny, last week I asked Todd if we could put a plate rack in the back wall to the stair way to the basement and he vetoed me, thinks it's not practical. I love that idea for that wall and just imagine how much fun you will have filling it up! 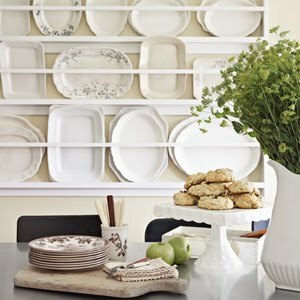 One of my favourite dining room photos is has a plate rack that spans the entire length of a dining room table. I like your idea of blowing up the pictures. 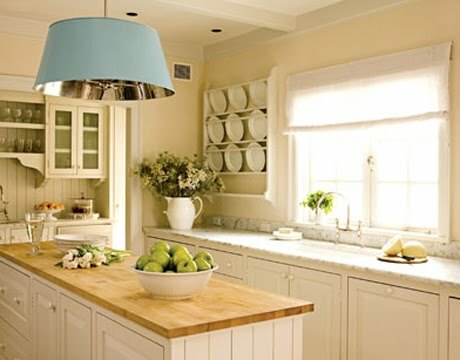 I just checked my Country Living magazine here at work, great minds think alike HA, I thought that was Joanna Maddens plate rack and that is what I showed hubby when I asked him to build me a plate rack for the side stair back wall . I'm not giving up though, going to wear him down until he says yes. I already have my collection started. Lets see who gets one first!